I was at my parents’ house and their neighbours had friends down to try out a horse for their son. I was at a loose end so went with them as a sort of crash test dummy to check that the horse wasn’t going to kill their son! I got talking to the dad, Gary Tomkins, over a bacon sandwich, and it turned out that he had been one of the art directors on the Harry Potter films. We got onto the subject of art and I showed him some of my work. He said: “It’s such a shame I didn’t meet you weeks ago as I’m working on Spielberg’s version of War Horse.” I knew the book so I was excited to find out that they were making a film of it but didn’t think any more of it than that. But the very next day I got a phone call from Gary to say that Rick Carter, the production designer who won an Oscar for his work on Avatar, had just seen my work on my website and wanted me to come in for a meeting the next morning! Well, I don’t get phone calls like that everyday, so I grabbed a sketchbook and went. Rick and I talked about horses, how they show expression, and how to capture that expression. 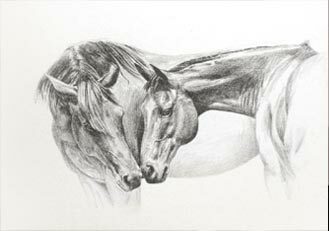 He showed me printouts from my website that had caught his eye in particular and explained that there was a scene in the film where one of the characters was sketching the lead horse, Joey. He told me that they were sending sketches by Jack Dudman from the art department and an independent artist to Spielberg in LA later that week and could they send some scans from my sketchbook too? Obviously I agreed and luckily my work was chosen! This gave me the chance to produce drawings for the film. My inspiration for the drawings came from several places. My friend Alise has a retired event horse called Beau. He’s a genuine and attractive horse but it was his Joey-like spirit in overcoming all obstacles that drew me to him. Beau was known for his exuberant leaps, but sadly he went blind and his confidence went with his eyesight. 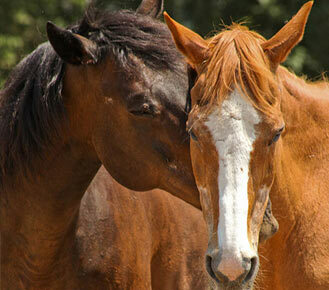 Luckily for Beau, another of Alise’s horses, a thoroughbred ex-racehorse called Sage, stepped in to look after him. She literally became his seeing-eye horse - leading him safely round the field, to the water trough and wherever he needed to go. With Sage’s help, Beau regained some of his confidence. It was with great delight that I opened an email from Alise to see a photo of Beau enjoying a leap after a good roll! So that was one of the photos I worked from. 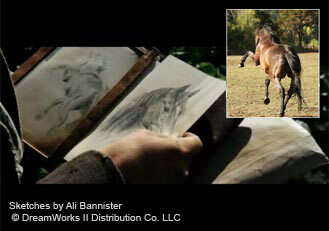 It appears in the film on the left-hand side of Captain Nicholls’ sketchbook when it arrives with Albert. A note to add to the end of this story is that not too long ago, Sage very sadly died of old age. To add to her grief, Alise was very concerned about what would happen to Beau without his faithful friend to guide him. Amazingly another horse in the field stepped up to take over Sage’s role. This behaviour proves to me just how incredible horses are. 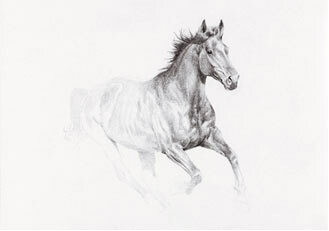 One drawing from my website that stood out to Rick Carter for its confidence and strength was a portrait of retired American racehorse ‘Jaguar Hope’, a son of Turkoman, grandson of the late, great Alydar. I had stumbled across photos of Jag on the photo sharing website flickr.com and was entranced as he was stunning. I had been following his progress from racehorse to showhorse posted by his owner, Wendy Uzelac, for some years when a terrible thing happened. Jag broke his leg in a freak accident in the field: a compound fracture which was beyond medical help and he had to be put down. 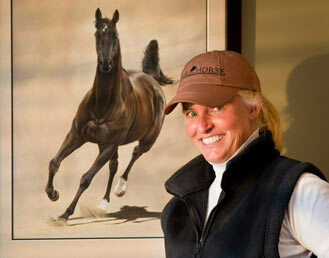 Months later Wendy commissioned me from the States to do a portrait of her beloved horse that I had so admired. When Rick Carter picked Jag’s portrait from the bunch as one that showed a ‘Joey-like’ zeal I was thrilled to produce some sketches from it for the film. I was dying for a drawing of Jag to appear on the big screen as a memorial to him for poor Wendy. Sadly, in the film the sketch of Jag doesn’t quite show. But he was there. 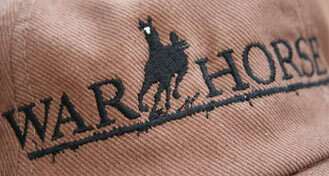 And as a bonus Jag turned up on the War Horse caps that were given to the 600 cast and crew after filming. I explained to the film production team about Wendy and her story and they kindly found a cap that I could send to her in Kentucky.